Several cases of teen deaths in schools has left parents a worried lot. This is especially for parents with children in boarding schools far from home. 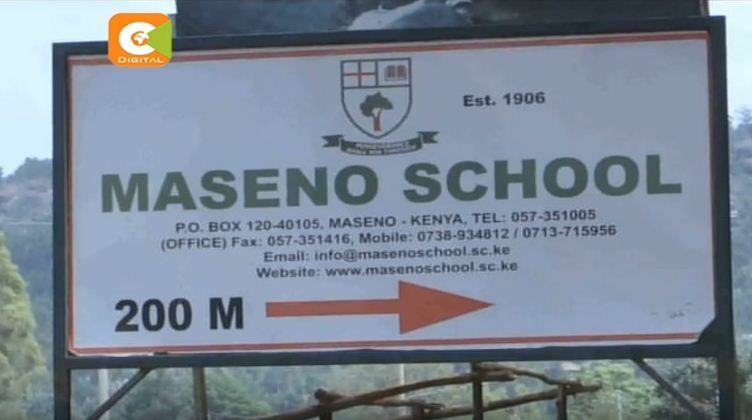 Several parents have only received information of their child's demise or sickness after it was too late.
.@TSCKenya has expressed concern over rising cases of deaths and disappearances in schools as learners start their first-term holiday.
.@TSCKenya concerns follows the death of a student at Maseno School in Kisumu County last week. Two cases of mysterious disappearance were also reported in separate secondary schools in Nyeri County last week as well as suicide cases. At Maseno School, Cyril Samuel Oyungu, 14, a Form One student who scored 422 marks at Amazing Grace International School last year, succumbed to sickle cell anaemia. On March 11, Kennedy Fundi, a Form Three student at Kangaru School in Embu died while receiving treatment at Nairobi Women’s Hospital. On March 9, Ebbie Noelle Samuel, a student at St Annuarite Gatanga Girls Secondary School failed to wake up and when the school administration was called in, they found her struggling to breathe. She was pronounced dead upon arrival at Naidu Hospital in Thika. On March 3, Bethwel Agolae, a student at Bishop Atundo Boys-Kimaeti Secondary School in Bungoma County passed on while admitted to Bungoma West Hospital. At Othaya Boys School, Cornelius Macharia Wang’ombe, a Form Three student, went missing on March 30.